On Saturday 4th May, just such a rarity occurs. Saul Alvarez, the Mexican with the Lion King locks, contests the Middleweight title with Daniel Jacobs. Between them they will amalgamate three of the important belts available, if the oxymoron of multiple ‘world’ title belts is to be accepted. Boxing fans, impoverished by the relative inactivity of their heroes and the reluctance of their hero’s advisors to contemplate risk, will hungrily devour the competitive fare the two promise to provide. As one of boxing’s touchstone divisions, the Middleweight crown, regardless of the glued together fragments it consists of, carries the additional burden and burnish of a pantheon of all-time greats. From recent vintage, Bernard Hopkins and Marvin Hagler, and before them Carlos Monzon, Sugar Ray Robinson and Tony Zale decorated and festooned the 160lb division with grit, style and longevity. It is a division rich in memories and loaded with nostalgia. There is potential for future historians to look back to the era of Alvarez, Jacobs and their contemporary Gennady Golovkin in something approaching the same reverential manner as those illustrious predecessors. Clouds linger over the whimsy of such an idea, but if Alvarez, following triumph or disaster on Saturday night, completes his trilogy with Golovkin this year, boxing fans will have witnessed 5 fights between the three would-be kings in two or so years. 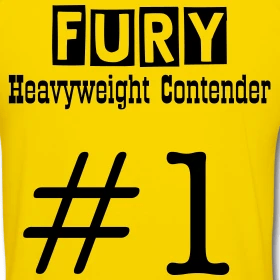 A rate of matchmaking the heavyweight trio of Wilder, Fury and Joshua or their brothers in the Welterweight division should be encouraged to imitate. Alvarez’s holds sway as the division’s number one, a conclusion still widely challenged by those who felt Golovkin won both of their two fights, and Jacobs is recognised as the 3rd best fighter at 160. Despite their comparable gifts, the 32-year-old New Yorker is a significant under dog with bookmakers. In his 2017 fight with Gennady Golovkin, Daniel Jacobs showed he has the technical ability to compete with the very best. Quick hands and excellent footwork enabled him to trade with the fearsome Kazakh successfully and encouraged some observers to believe he won their fight. However, regardless of his Amateur pedigree and the likeability he has demonstrated in a career blighted by a 19-month absence due to a battle with the cancer, Jacobs is a +285 underdog against Saul ‘Canelo’ Alvarez (-375), according to MyTopSportsbooks.com. Odds that reflect the surprisingly limited pathways to victory for a fighter taller and naturally bigger than the champion he must overcome. Jacobs has potent power in his fast right hand and his left to the body, which is the third punch of a jab, right, hook combination he frequently employs, but, nevertheless, he has failed to stop an opponent since 2016. Alvarez has demonstrated his own durability in 24 rounds with Golovkin, Jacobs was dropped in the 4th in his own fight with Triple-G, and Alvarez is expected to be able to ‘hold’ Jacobs’ sharpest shots. Neutralising much of the bigger man’s presumed advantage in power. Equally significant is the date and location of the fight and Alvarez’ status as the sport’s number one attraction. His $365million, 10-fight deal with DAZN and the richness of a trilogy fight with Golovkin encourages the conspiracy theorists to propose he cannot lose on points and certainly not in Las Vegas and not on Cinqo De Mayo, the 5th of May. ( A date adopted to celebrate American-Mexican culture in the United States) . And yet, perhaps inflamed by the distaste Alvarez’s ‘friendly’ sanction for a Performance Enhancing Drugs violation encouraged in those of us passionate about the integrity of the sport, which may also be a laughable oxymoron it has to be said, I remain willing to build a case for a Jacobs victory. However, boxing, and the money she is presently awash with, rarely gives fans what they want, nor listens to the ballad of sentimentality or the merit of a moral crusade for that matter. And with that uncomfortable truth in mind, I expect Alvarez to win.